German researchers have discovered a chemical oddity - a new type of intramolecular interaction between group 15 atoms, which is as strong as a hydrogen bond. These interactions could be used to build supramolecular structures. 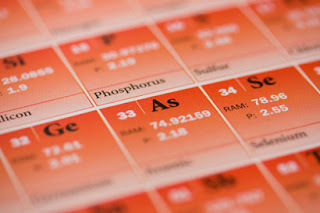 Pnicogens, group 15 elements, such as nitrogen and phosphorus, are well known for acting as Lewis bases, or electron donators. However, researchers at the University of Leipzig, Germany, have found that instead of repelling each other, two pnicogen atoms can attract each other, forming non-covalent bonds. The team looked at how a number of known PR3 compounds interacted with each other. 'We calculated interaction energies and were astonished that they could be as large as hydrogen bonds - around 20 kJ mol?1,' says Barbara Kirchner, who led the theoretical study. The team suggest the pnicogen atoms interact with each other by donating a lone pair into an antibonding P-R orbital of the other atom. While the lone pair itself is an area of negative charge, electrostatic potential calculations show that this is surrounded by a band of positive charge. 'This is the way you can imagine two molecules interacting - because there is both positive space and negative space,' says Kirchner. Preliminary calculations suggest nitrogen, arsenic and antimony behave in a similar way. The researchers found that adding an electron withdrawing group perpendicular to the P-P axis decreases the interaction, while adding a good leaving group along the P-P axis increases the strength of the bond. However, Kirchner stresses that they have not yet studied enough compounds to be sure of these trends. 'At the moment I would be careful because if you put a hydrogen perpendicular to the P-P axis the trend can be inverted,' she says.